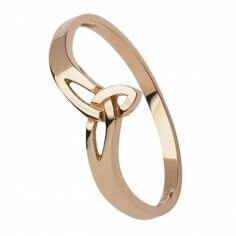 The Trinity criss cross ring is very unique in style. 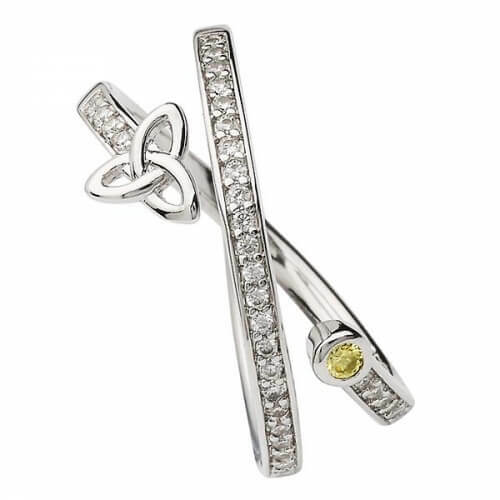 The two bands cross each other, one band is filled with cubic zirconia and the other has a Trinity knot at one end and a peridot stone at the other. A very elegant and modern design. 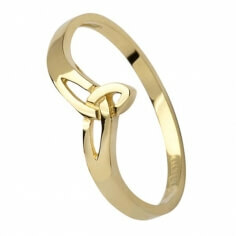 Handcrafted in Ireland by highly skilled artisans and hallmarked by the trusted Dublin Assay Office, this ring comes with its own luxury presentation box.